For your convenience we have categorized our Prostitution results by city to give our reader a clearer understanding of the cases our firm has handled previously in each location. For a sample of some of our prostitution cases, click on the following links for a detailed description of each case. If you want to read more of our prostitution case summaries, please click here. The reader of even two or three of the above results will no doubt see that prostitution cases in general follow a similar path. However, past results are not always a guarantee of future results. Each courthouse handles prostitution cases in a different manner. It is not too far from the truth to say Compton handles these cases almost like a parking ticket. Even the youngest DA handling such cases does so professionally and without any dispatching, disrespectful remarks. There will never be a personal attack or snide remark about our client. 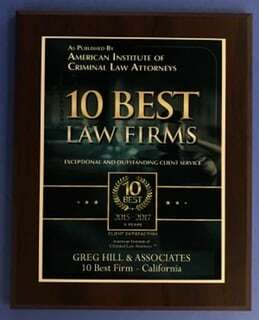 The plea bargains offered in Compton are the best in Los Angeles County, usually an inexpensive, one day program, as well as AIDS test. Once the client shows this to the judge, usually through us, the case is dismissed. The prostitution cases arising out of Hollywood and parts of Downtown LA are handled in the East Los Angeles Superior Court. Such cases were handled in the dungeon-like Bauchet Street Court years ago (stopping in 2013), right under the Men’s Central Jail and across from Twin Towers. The district attorneys in the East Los Angeles Superior Court are equally respectful as the Compton prosecutors, both perhaps because the volume of prostitution cases in court is relatively high, as compared to courthouse like Torrance and Airport Courthouse. 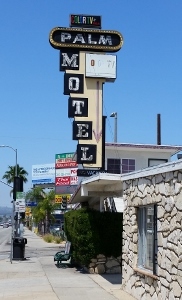 The plea bargains in East Los Angeles for first-time prostitution cases usually include the expensive prostitution diversion program (PDP), which is a once-a-month “one day program” costing $650 as of early 2015. The client then almost always must submit to an AIDS test and stay out of trouble, as well as the area of the arrest for a year. If the client does this, the judge will allow the client to withdraw his plea and dismiss the case. In certain cases, arising out of downtown Los Angeles, our clients have been offered a pre-filing community diversion program. This is a seldom-used program that is offered by letter by the Los Angeles City Attorney’s office. It is a great opportunity to avoid any record of a case filing and allows our client (s) to request that their arrest record be changed to a detention only. Our office had also handed prostitution cases out of the Norwalk, Airport, Rancho Cucamonga, Riverside and Long Beach courthouses. In such courthouses, the prosecutors are more zealous about prosecuting such cases. Indeed, such cases are less common in such courthouses and usually only are filed following a large-scale siting operation, often involving dozens of arrest over a short period of time, usually from two or three hotels or motels. Recently, as of January 1, 2015, Assembly Bill 2124 became law at Penal Code §§ 1001.94-1001.98. This is a pilot program only available in Los Angeles County until December 31, 2019. It permits a judge to order diversion for up to one year after the client enters a plea, but judgment is not entered. The judge then set the terms of diversion.